Flat Lay Of Small Pink Alarm Clock And Drinking Straws Against Colorful Background Minimal Creative Drink Concept. Fotos, Retratos, Imágenes Y Fotografía De Archivo Libres De Derecho. Image 119040770. 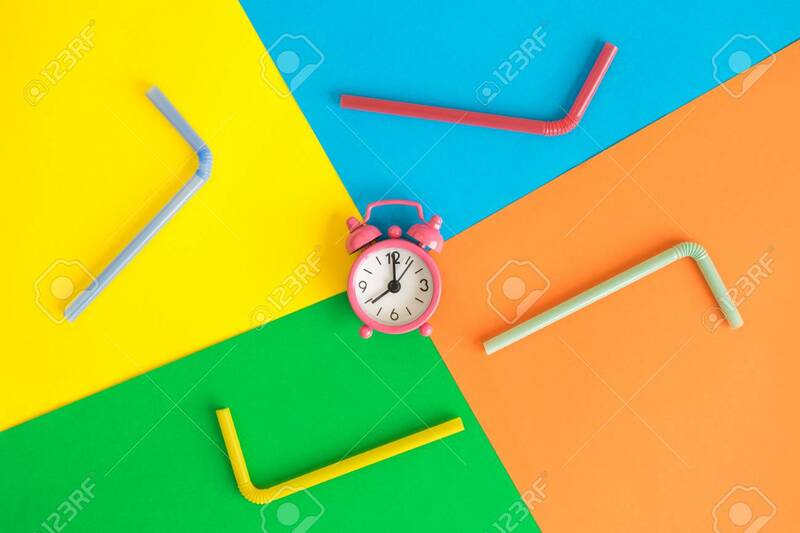 Foto de archivo - Flat lay of small pink alarm clock and drinking straws against colorful background minimal creative drink concept. Flat lay of small pink alarm clock and drinking straws against colorful background minimal creative drink concept.